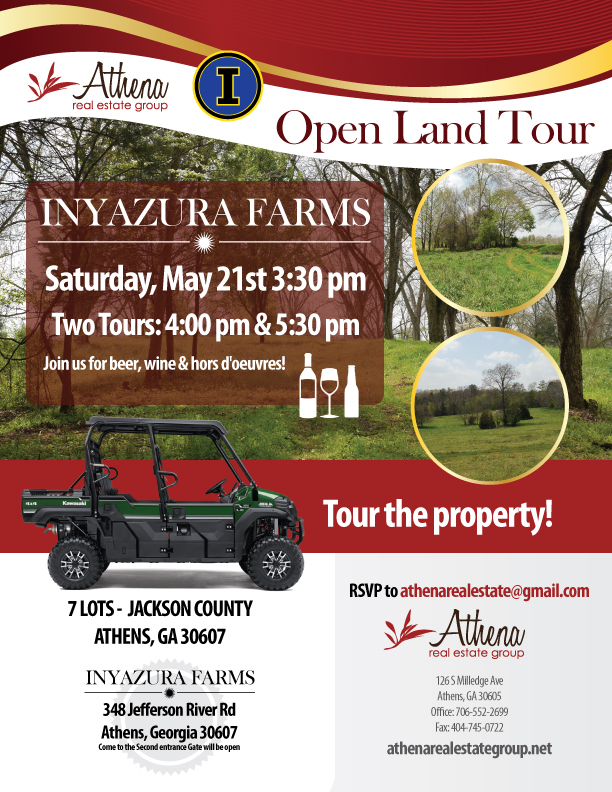 Please join us on Saturday May 21st for a land tour of 7 amazing pieces of property! Located just North of Athens, these beautiful spaces are perfect for any dream home or equestrian ranch. Enjoy beer, wine and hors d’oeuvres before you take a guided tour of these gorgeous lots! There will be two tours: 4 pm and 5:30 pm. Please RSVP to athenarealestate@gmail.com to reserve your spot. Thank you!